HA! for lameness/arthritis Archives - Holistic Actions! Flower Essences (FE) can help your pets with both physical and emotional health challenges. They are great for lame, stiff and arthritic pets. Unlike supplements that act like natural drugs, FE are 100% safe. They are made by putting specially chosen flowers in water and exposing to sunlight. Most of them focus on emotional states like fears, grief and shock. However what affects the mind also affects the body. The latest mind-body research shows that problem emotions can cause physical symptoms. They work best when you can match the emotional state of your pet with the physical health challenge. Your lame, stiff and arthritic pets will feel better and be happier from FE. Combinations specifically for lameness problems in animals are sold by several companies. Each also has single essences you could explore. Senior combinations may be used for any aged animal who is showing signs associated with aging. There are also specific combinations for emergency and painful situations. Each is made from different essences, so one company’s formula may resonate more with your dog or cat. All are 100% safe, so try one after the other until you find the best for each person and animal in your home. All are equally good for you as well. Flower Essences are very easy to use! They can be given by mouth, added to food or water, applied topically (especially to sore joints), or sprayed in a problem area (like the car they are nervous about riding in). FE work best when they are given very frequently. The more problematic the symptom, the more frequent the administration. Your arthritic pet who just wiped out on the floor and is panting and anxious may need a dose every few minutes! Administering them in different ways (oral, sprayed, rubbed in, etc.) up to six times or a day often works best. The standard recommendation from the Bach FE company (makers of the highly effective Rescue Remedy) is to put four drops of Rescue is put into a mixture. That then can be sprayed or massaged on the animal or misted in the air. 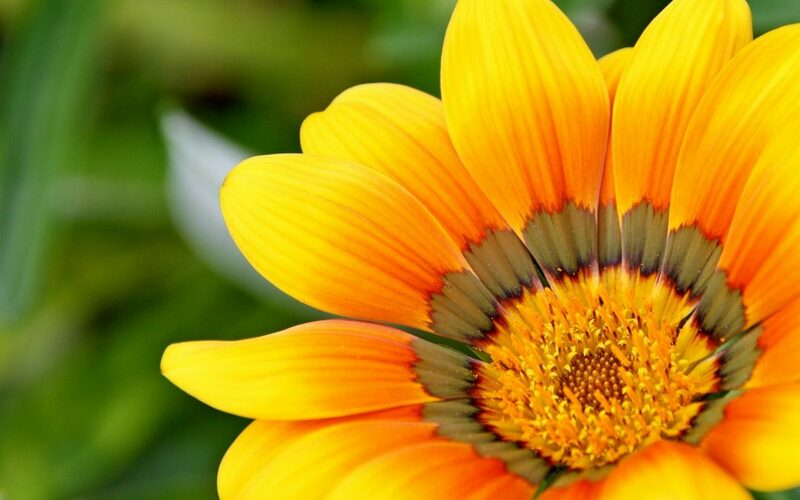 Two drops of each chosen flower remedy in a 1 oz bottle of spring (or filtered) water. Beech: intolerant animals who have trouble relaxing emotionally that develop stiff joints/arthritis. Rock Water: Stubborn animals who seem rigid and hate change. Physically and emotionally inflexible animals. Use it when you see even a little lessening of flexibility in spine or legs (remember aging does not cause loss of flexibility). Willow: resentful animals with arthritis. Agrimony: Stoic, hide their problems, hide when people argue. Often skin or GI tract problems occur along with the joint problems. Creak Away: Rigid thoughts and behavior patterns can ultimately create stiffness in the body and can make an animal grouchy and unhappy. This combination helps disperse this blocked energy and restore free flow throughout the system. Graceful Aging: This combination addresses being stuck in certain habits, being grumpy or impatient. Intensive Care – Relieve pain, calm panic, ground the emotional and physical systems. May be needed for weeks after surgery or an accident. Run And Play: Addresses health and wellbeing of bones, joints and muscles. Is also good after joint or bone surgeries. Animal emergency care: Fear, trauma, shock can challenge the electrical system, hindering the ability to respond to any healing treatments. This combination stabilizes the system thus calming him. Senior citizen: Helps reverse the declines to whatever degree is possible in areas such as flexibility, energy level, hearing, and more. Recovery Remedy: Helps after both physical and emotional trauma. Speed regeneration of nerves after an accident. Senior: Eases arthritis pain as well as strengthen kidney and bladder function. Many single remedies that Sharon (the owner) can help you select. Arthritis and Achy Pain: Stiff, sore, achy joints and muscles. Arthritis-type symptoms experienced when jumping or walking, especially in older animals. 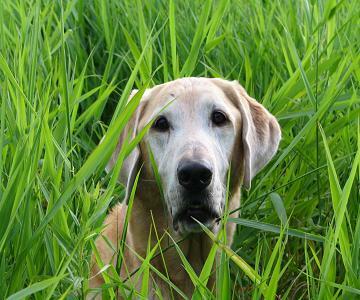 Elder Comfort: A gentle blend of FE that help an older animal feel more secure and comfortable. Fracture Repair: Helps the body repair and deal with broken or cracked bones. Graceful alignment: Learning to walk in a balanced way after an accident, surgery, fight or even illness. Skeletal support: Balances the emotional attitudes that may affect the skeletal system. Animal Arthritis: Blend of flower essences to help animals to deal with arthritis in the joints, at both the emotional and physical level. All of these choices may seem overwhelming at first. But you don’t need to let them be. All you need to do is choose the one which seems to match your pet’s health challenges best. Since they’re so safe, it’s no problem to try a different one to see if it helps more. Holistic Actions! community can help you decide which to use. HA! members can post questions in the Facebook Group. Fall of 2017, full supporting members will also have access to a private discussion forum on this site. It’s also not too late to join us for the live webinar. You’ll learn many other ways to help your lame, stiff and arthritic pets. Should You Use Supplements for Your Lame and Arthritic Pets? The Problem: Increasing lameness, stiffness and arthritic problems in our pets. The Solution: Individualized treatment while supporting your pet’s body while it heals. By optimizing lifestyle and using nutritional supplements (if needed). We all love our animal companions and we don’t want them to suffer. Fortunately there’s lots of ways to help them. Lifestyle improvements are really important, but sometimes are not enough. Optimizing the internal underlying imbalance is critical, but not always practical. That’s where nutritional supplementation is most useful. There are many, many ways to internally support your pets and help them have better lives. Unlike homeopathy and acupuncture, supplementation works on the physical body. Not the vital force (or chi, prana, etc.). Nutritional supplements are like natural drugs. They help the genes work better. The proteins produced from the genes support life and health. Supplements are (usually) supportive and not curative. Dr. Hahnemann coined the phrase “allopathic” for the medical practice based on the use of dis-similar substances. Whether using a natural herb, an artificial drug, or a supplement. Allo- (or different) vs. homeo- (the same) and pathic (from dis-ease or suffering). The rare exception is when a supplement fits the totality of the symptoms of the individual so well that it works “homeopathically”. Supportive and Curative Treatments at the Same Time? Homeopathy arose as a method of optimizing internal balance. Not covering up symptoms (as supplements can do). However, even the founder of homeopathy (Dr. Hahnemann) describes many ways to support the body during treatment of the underlying dis-ease (imbalance). Herbs, supplements and lifestyle changes, were routinely used in the “olden” days. Naturopathic methods were integrated into conventional medical treatments. That changed with the advent of the AMA and modern “scientific” medicine. However, that has shifted again. By the 1970s, natural and holistic nutritional supplements were coming back! Nowadays, almost every veterinary practice has multiple supplements on their pharmacy shelves.There are new ones coming on the scene almost every day. Just like drugs. One of my first experiences with nutritional supplements took place almost thirty years ago. A client of mine with a stiff older dog named Sasha asked me about omega-3 supplementation. Because it had been recommended by her own amazing informed and open-minded rheumatologist. The pup’s guardian had started taking them. Within a few weeks, her gnarled, painful fingers and other joints improved! More than with any anti-inflammatory that she had taken. And without the side-effects of the medications. This intrigued me so I started doing some research on the use of omega-3s for arthritis. Unlike there is now, at that time there was not much data on their effectiveness in animals (or people). Despite this, the woman requested that we try some for her crippled German Shepherd. The next time I saw Sasha, she was like a new dog! Happier, more energetic and clearly feeling better. Her mobility was markedly improved and my practice was changed forever. 1. Omega-3 fatty acids: Many, many beneficial efects both in arthritic dis-ease as well as heart, skin, brain, etc. challenges. The best sources are usually from anchovies and sardines. It’s best to stay away from salmon oil (which is highly contaminated with heavy metals). The triglyceride form is most natural, best absorbed and utilized. 2. Superoxide dismutase: Has a very short life in the body. It is often used in combination with other antioxidants. These reduce the harmful “free radicals” that worsen many dis-eases and promote aging and cancer. Nu-Pet antioxidant wafers are among my favorite sources. 3. Hyaluronic acid: A chief component of joint fluid and lubricant to many connective tissues. Previously only absorbed and used as injections such as Adequan. But now with Trixsyn and other oral well-absorbed HA supplements it is invaluable for the stiff pet. 4. Glucosamine sulfate: Another component of the joints and musculoskeletal tissues and one of the first supplements thought of in lame animals and arthritis. Other forms that don’t contain sulfer, don’t work as well. They need to be combined with chondroitin sulfate. 5. DimethylGlycine (DMG): A methyl donor which improves many metabolic functions. Often used in combination with other supplements. For arthritis I advise the chewable Glycoflex 1 + DMG. 6. Coenzyme Q-10: A critical part of any arthritis support program. Helps mitochondrial function, energy production and arthritis symptoms. But it is not very well absorbed. Ideally use a non-powdered and non-crystalline form. Xymogen’s Co-Q Max is my favorite one to date (but is also only available through your doctor). 7. Resveratrol and grape seed extract: Not whole grapes. Those can be toxic. But extracts are awesome antioxidants. They have many, many benefits. Resveratrol has even been shown to prolong life (in people). 8. Boswellia: An herb used for thousands of years that naturally works on same part of the inflammatory pathway as aspirin. It can quickly and effectively decrease arthritic pain when used judiciously. 9. Curcumin + black pepper: Turmeric root has also been used for millennia as a natural anti-inflammatory. It works wonderfully for arthritis. Its’ effect is increased by combining it with black pepper. As found in the popular “Golden Paste” mix. 10. Bromelain usually along with other enzymes: Also natural anti-inflammatories. Great for helping many uncomfortable dis-orders. Wobenzyme makes the most popular human enzyme of this type. But also talk to your veterinarian about Vetriscience’s Devcor + Mobility Pro. An awesome combination of enzymes and herbs that has helped many pets. MSM is the one nutritional supplement that I rarely advise. Why? Because it’s very effective at covering up the symptom clues that help monitor and treat the internal dis-ease. Especially at higher doses like 100-500mg. Does it work? Yes. But unlike with many other supplements it has a better chance of manipulating and harmfully altering the underlying problem. Any supplement can have the same effect. MSM especially can mask the symptom clues. This defeats the purpose of restoring wellness. If you’ve read this far, you probably really care about helping your pet. I therefore want to impress upon you the far superiority of optimizing your pet’s body naturally. Not with artificial supplements. You can harness the power of nature with nutritional items like the blueberry-kale slurry, bone broth and eggshell membranes. What’s most important? The treatment goal of eliminating imbalance by monitoring the symptom changes of your pet’s body.